Phlox Bush, pink with white spots. 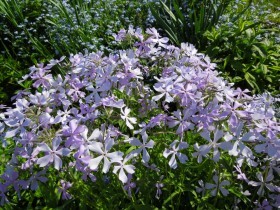 Phlox perennial include more than seventy species, varieties and hybrids there are several hundred. Red plants in the flowering period resemble flames. For this reason, Carolus Linnaeus gave the genus the name, translated from Greek meaning "fire". The ancestral home of the flower North America. Phlox demanding on the soil composition, dank. Creeping plants, blooming in the garden first, in mid-may. 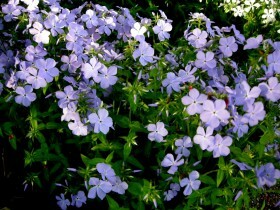 Popular with gardeners uses subulate Phlox small, sharp, leaves and different colored blossoms from white to purple. Plant sun-loving, the remoisture soil may lead to its death. Withered Bush pruned by a third: it enhances growth and flowering the following summer. In winter, the Phlox shelter with dry leaves. The plant is ideal to decorate rock gardens. They all flower in may. 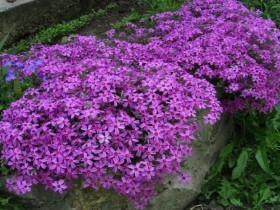 Lovely Phlox undemanding to the soil, they can decorate the foot of the stairs, wall. 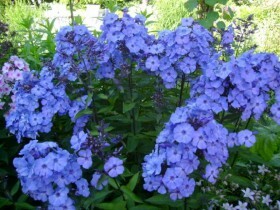 Purple-blue Phlox Rovelli attracts attention with its unusual color. Plants are planted in the spring. 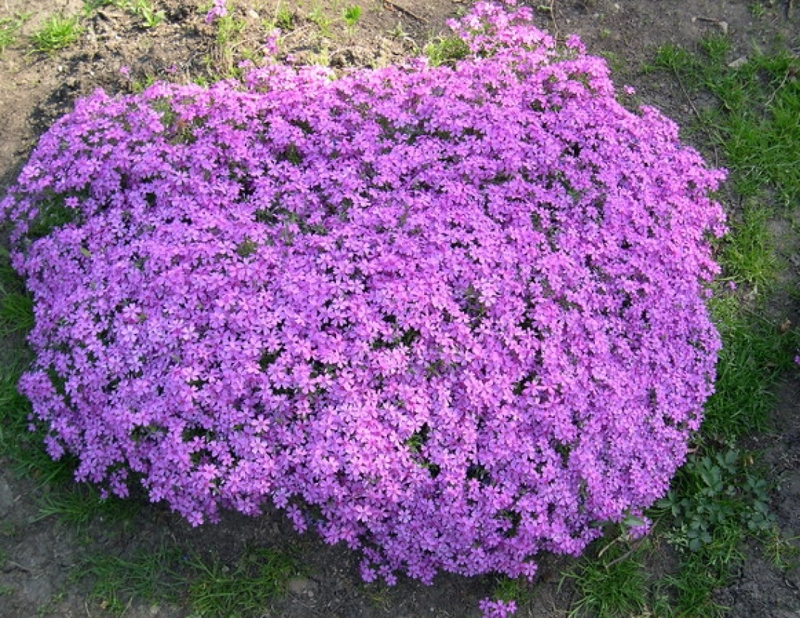 Phlox groundcover, styloid, a beautiful pink color. The flowers of these varieties bloom later groundcover: at the end of may. The most popular is the canadian, "spread wide". Unpretentious wild visitor from the other hemisphere happy gardeners blue flowers with a pleasant, violet aroma. In the dry season, the plant quickly fades. The color of cultivated varieties, from white and lilac to purple. Phlox needs to be regularly weeded from weeds. Beautiful solomonovy floks, it grows quickly and is widely used in landscape design, coating the surface of the earth is lush, multi-colored carpet. Flowers – white, blue, pink. Can grow in the shade, under the trees, tolerates damp. 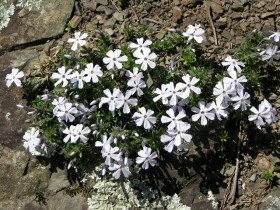 The first is similar to the canadian Phlox, colouring of inflorescences – pink; the second – high, to 110 cm, with white flowers. Both varieties are well acclimatized and developed on acidic soils. Tall Phlox Anders deserve special attention. Early flowering and the aroma is pleasing to lovers of floral landscapes. The plant stems are weak and can go in bad weather, to avoid this, they are planted densely, very close to each other. After pruning the Phlox may re-bloom. The advantage of paniculate Phlox, compared to the spotted – strong stems. 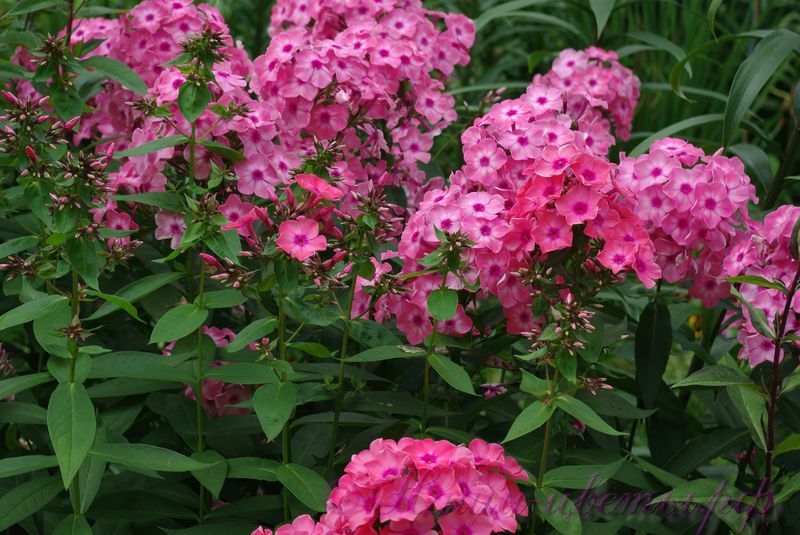 Phlox Bush, the soft pink color. Flowers look good in single crop, and in the songs. Styloid Phlox plant the edges of lawns and flower beds, the Alpine slide. 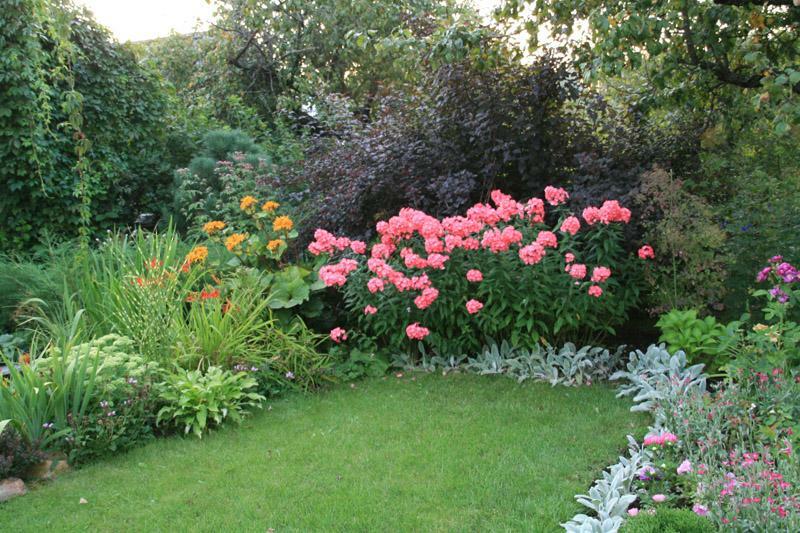 Phlox paniculata can be used to mask the old borders, water tanks and other maloestetichny, but necessary items. Songs from this plant it is possible to divide the garden into zones. 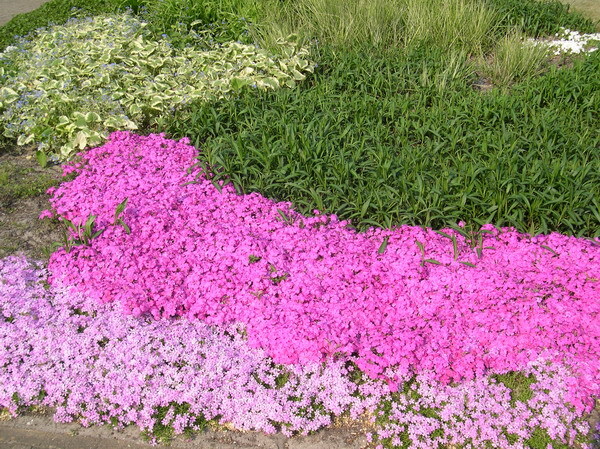 If instead of grass to sow grass Phlox – get a bright colored carpet. Bushes of medium height draw up the garden path. Phlox shades of pink in your garden. Example of landscape design with their application. Phloxes., but some gardeners consider them a rustic appearance and are combined into groups with other plants. One of these "neighbors" can be silvery ephedra, the bushes grow well near low daylillies, roses. In the latter case, important choice of colors: Queen of the garden in saturated colors will look good on the background of snow-white or pale pink Phlox. Golden rules of landscape design: do not mix plants of cold and warm shades, do not combine several species with variegated, spotted petals. White Phlox on the background of dark colors, most likely "disappear", but the reverse option, dark against white, will look very interesting. Good looking group of Phlox of the same color, but different shades, the subtle play of plants, planted consistently, create an interesting "carpet" in a single range. 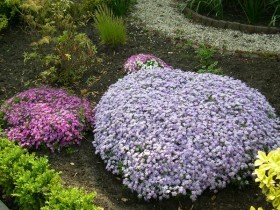 Example of landscaping with Phlox. 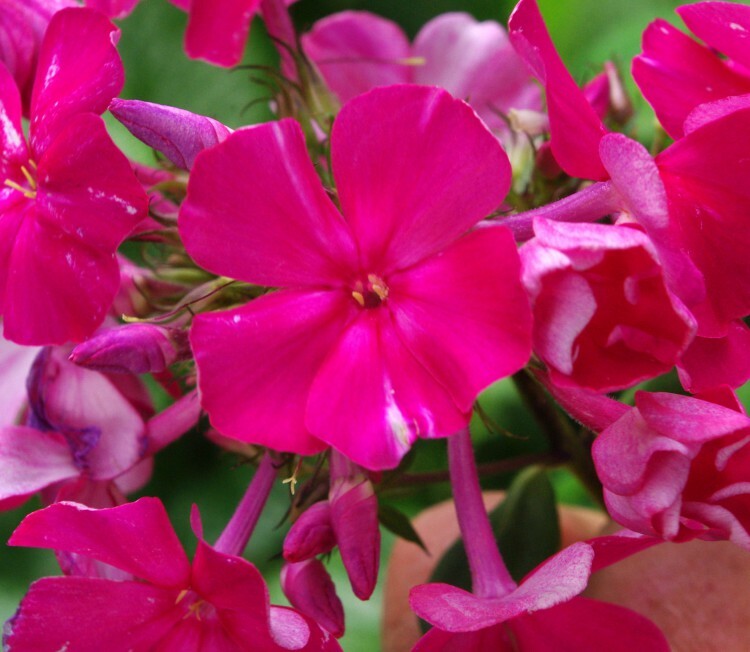 Most garden plants are propagated by cuttings, division, seeds, Phlox is no exception. To divide it is necessary to choose adult shrub three to five years of age. It can be divided into 15 – 20 parts and plant in the spring, during the autumn, such experiments are not carried out and divided Phlox into four or seven parts. In the spring a better plant root. To perform the operation of grafting Phlox, for breeding, need from may until mid-summer. At this time, the survival rate is highest. The handle can be separated from any Department of stem, each should now have two node, the top is removed. This is best done in cloudy weather. The cuttings are planted in the ground immediately, it needs to be well hydrated. Soil mixture is best to cook by yourself: mix equal proportions of humus, sand and earth. The plantation is regularly watered, it is possible to cover the landing film. The root system of Phlox will begin its formation a month after planting. Propagation of Phlox cuttings from the stem. When the need arises to deal with the reproduction of Phlox not in season, this can be done in the fall. Manipulation is carried out in areas with cool constant temperature, for example, in the greenhouse or cellar. In the open ground such of the cuttings planted is not, frosts they will not survive. The best way is to place plants in pot or container, in which Phlox will take root, and will continue to grow until the onset of the warm season. Planting bushes on the site in may, when there is no risk of night frosts. Phlox from seed classic gardening. This type is more time consuming, than cuttings or division of a Bush, but it has a serious advantage. Flowers, grown from seed, better adapted to the peculiarities of soil and climate. The drawback is possible loss of varietal characteristics. Seeds of the Phlox shrub can be purchased in a specialty store or grow your own. Collect them then, when the foliage begins to wither, and the boxes will turn brown. Landed younger generation plants directly on the land or indoors. If the germination of Phlox will be in containers, in them lay the soil mixture of sand, earth and compost and cover with soil layer in 1 – 1,5 cm. In the first month of winter, the containers hid the snow, and in the early spring and transferred to the greenhouse. Young plants of the Phlox shrub are planted in the ground in late April, first – in greenhouse, after a month on the site. 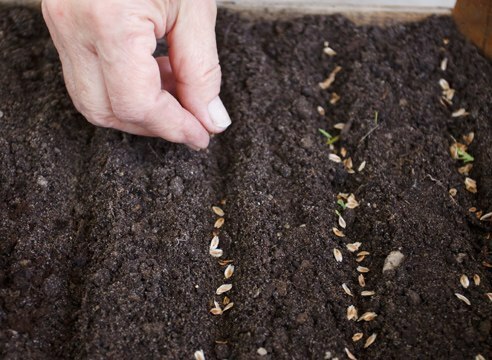 Propagation of Phlox seeds in the ground. Plants are better to plant in a bright place with sandy soil, loam with humus and peat. Fresh manure should not be entered, a good option – the humus of pine needles and birch leaf. On the site should not stagnate water. The soil should be loosen, remove weeds, to fertilize with compost, pour. The distance between plants must achieve 35 – 50 cm, a closer location is justified, if you think landing in a Bush. Old plants should be transplanted, if inflorescences fewer – it's time to think about rejuvenation. Phloxes need time to weed, remove the dried shoots, loosen the soil. If you want to grow stunted and surround Bush, it is possible to periodically pinch back. The procedure is justified in the spring, in may, later, the formation of plants will separate beginning of the flowering process. Drought and waterlogged soil are the Phlox equally bad. In summer the plants need to be watered morning and evening, to do it accurately, not splashing on the leaves. For moisture retention soil mulch peat or humus. Bush flower Phlox responsive to fertilizers, they make the soil weekly from late June to the end of the summer season. The dose varies to increase, then decreases. Phlox like nitrogen and phosphorus, to the mixture, you can add nitrate. At the end of the heat fertilize the plants don't need. Phloxes struggle spot and powdery mildew. Signs of the disease may be dots on the leaves, twisting. The diseased plants should be removed, bushes handle Bordeaux liquid. 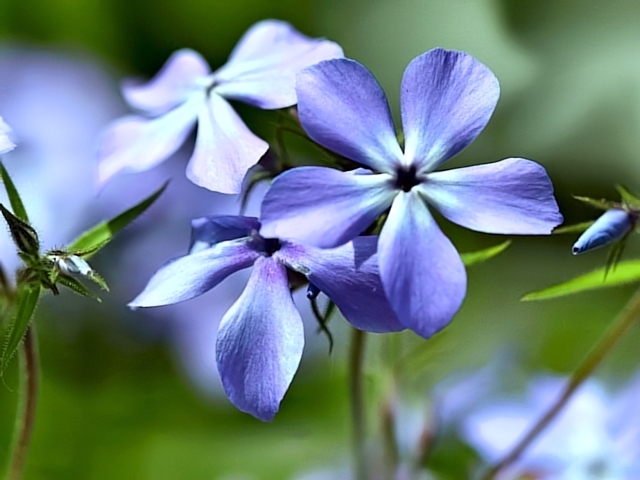 It is possible to spray a healthy Phlox as a preventive measure in the spring. Also, plants can be attacked by nematodes or filamentous worms. This attack can live in those areas, where previously grew strawberries. 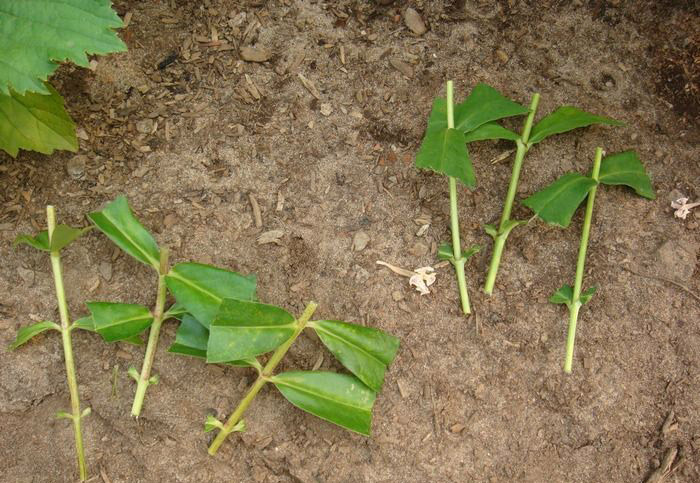 A sick plant will have to eliminate along with a lump of land, soil disinfected with lime. Phlox varieties, “Red Riding”, groundcover. All content on this site SamDizajner.ru written specifically for Simdesigner, copying 1 in 1 strictly prohibited. Reprint, full or partial rewriting of the article “Phlox – perennial fire flower, bright accent garden design”, possible, only when you specify the full, active link to the source.